Turkish Airlines, being among the most innovative airlines in aircraft financing, became the first airline to use the brand new insurance-backed aircraft financing product “Balthazar” combined with French lease, with the financing of its A321 NEO aircraft arranged by BNP Paribas. Turkish Airlines has had very innovative and first-of-a-kind financing models rewarded by ‘Jane’s Transport Finance’, ‘Global Transport Finance’, ‘Airline Economics’, ‘Airfinance Journal’, and ‘Bonds, Loans & Sukuk Turkey’ in respect of its financing models put in practice since 2008. 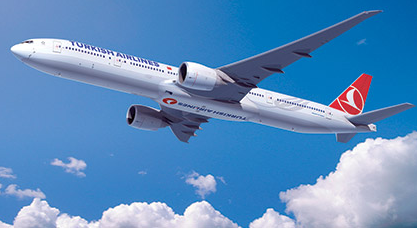 Turkish Airlines has crowned its success in this regard, as having won 21 international aircraft finance awards in the last ten years for its successful financing performance amounting to 15 billion USD.